So as you may or may not have noticed, I have been super quiet on the blogging front the past couple of weeks. I have been majorly busy and literally haven't had the time to sit down to write. I just wanted to take this chance to say thank you for all your support this year and thank you for reading this little thing! 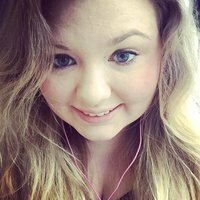 I'll be back January 1st with a new blog post and I've got some exciting things planned for the new year on here! 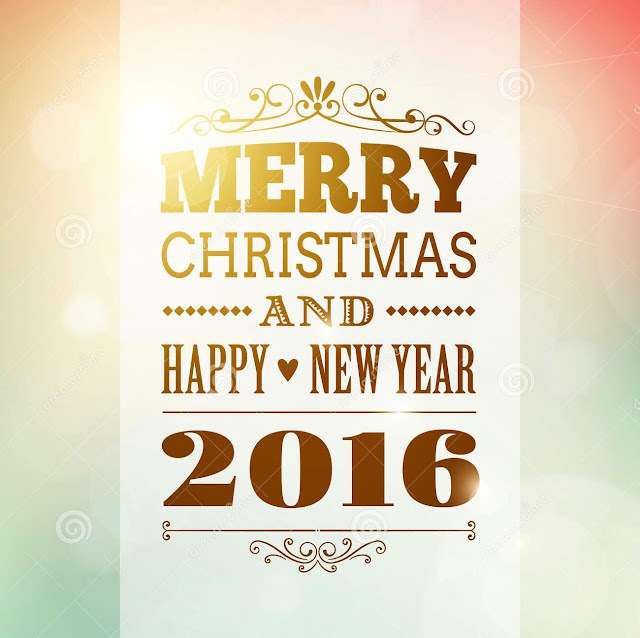 I hope you all have a lovely Christmas, eat way too much and enjoy time with your loved ones. 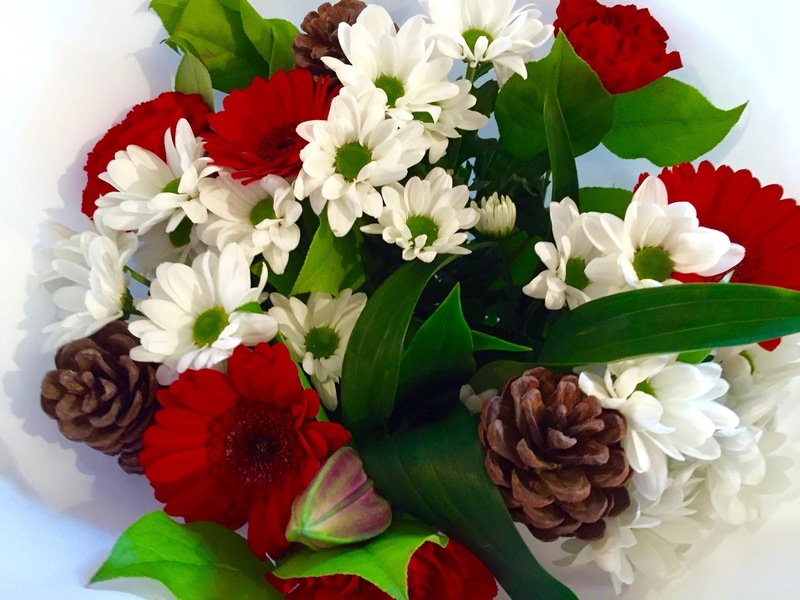 I am so not in the Christmas mood yet so I've been trying to think of a few ways to try and be more festive. So I thought I would start with the place I spend a lot of my time - my bedroom. There is literally nothing better than waking up and being surrounded by Christmas. 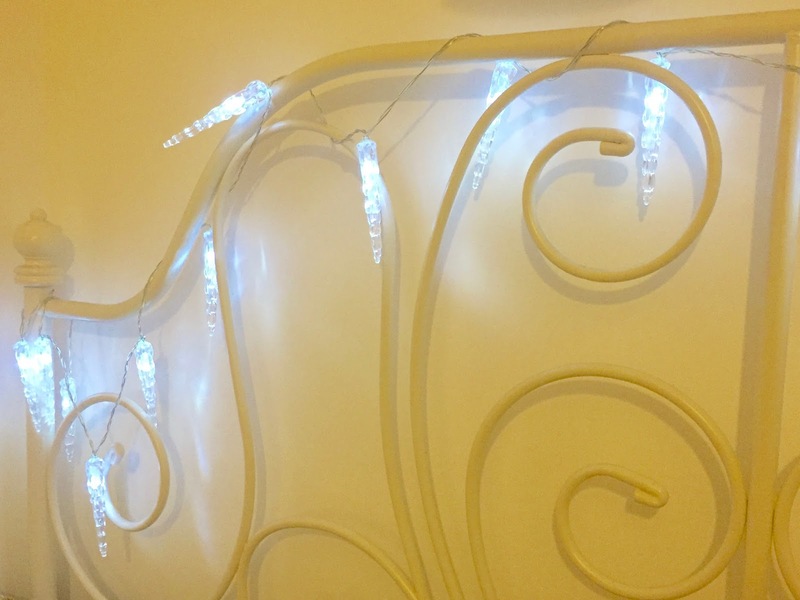 I've recently bought a couple of sets of fairy lights that are battery powered and I've put these around my bed frame. I already had these icicle ones that I think look so cute hung around my bed! I've completely fallen in love with this Innsbruck Red - Flannelette Duvet Cover Set from Yorkshire Linen. It's double sided as well which I love with duvet covers as it means I have even more choice! 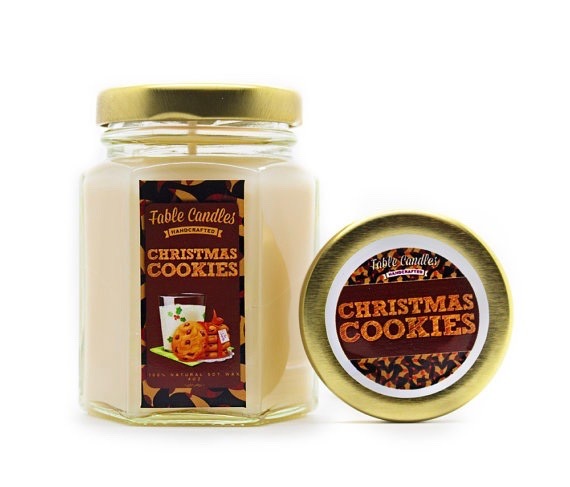 Can you just imagine waking up on Christmas morning all cosy with this?! 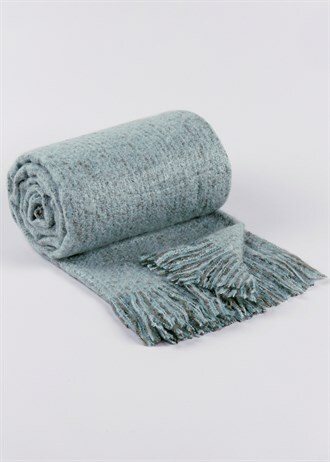 Another addition to my bed would be this Faux Mohair Stripe throw in Duck Egg Blue from Matalan, which I think would contrast nicely against the duvet set. Plus for £20 to be nice and cosy, you can't go wrong. 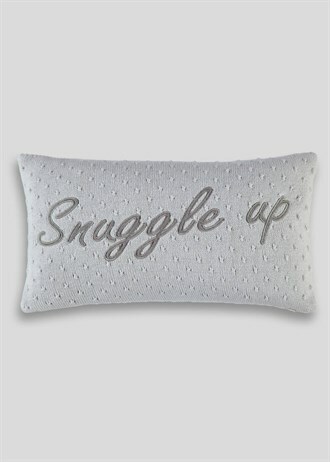 Also from Matalan, I love this slogan knitted cushion that says "Snuggle Up". Um, yes please! I might actually have to go buy this right now. It's very much one thing to wake up in super soft bedding with a lovely throw and pillows but if the whole bedroom has a Christmas feel then even better. You will have seen in my Hobby Craft haul that I got some DIY bunting to make some Reindeer fly across my wall. I've recently made this and put this up so it's beginning to feel a lot like Christmas (no pun intended...). Plus I've had my eye on these gorgeous Paperchase Christmas Trees that I'd love to put on my windowsill with little baubles! How would you make your bedroom festive? Last week I wrote about My Little Sweet Box and my thoughts on it, needless to say, I wasn't massively impressed and I was literally all ready to cancel my subscription, but now I'm having second thoughts. 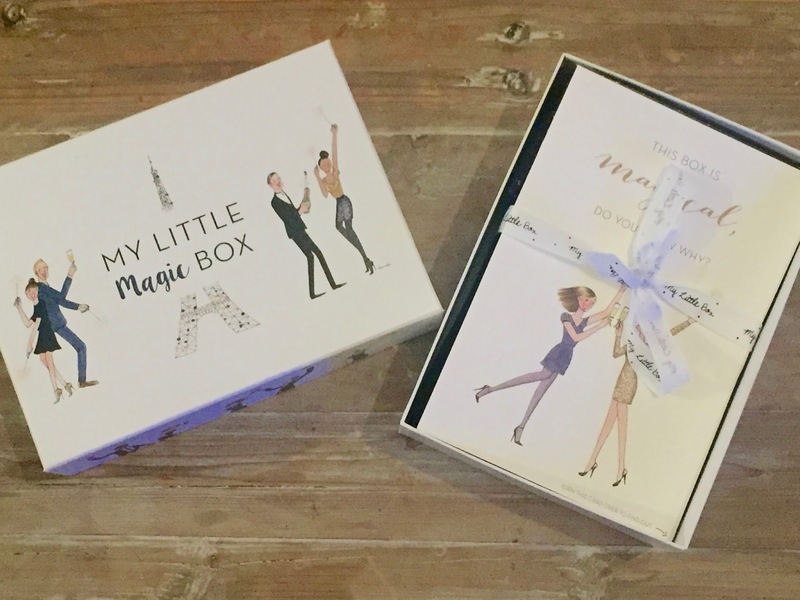 My Little Magic Box came through the post yesterday and I was really excited as a few people had told me how good this months was. I LOVE the design on this months box and the little card in it, it's gone straight on to my wall and brought a certain festive feeling to it! Of course, opening the bow to find what is underneath is always the most exciting part. 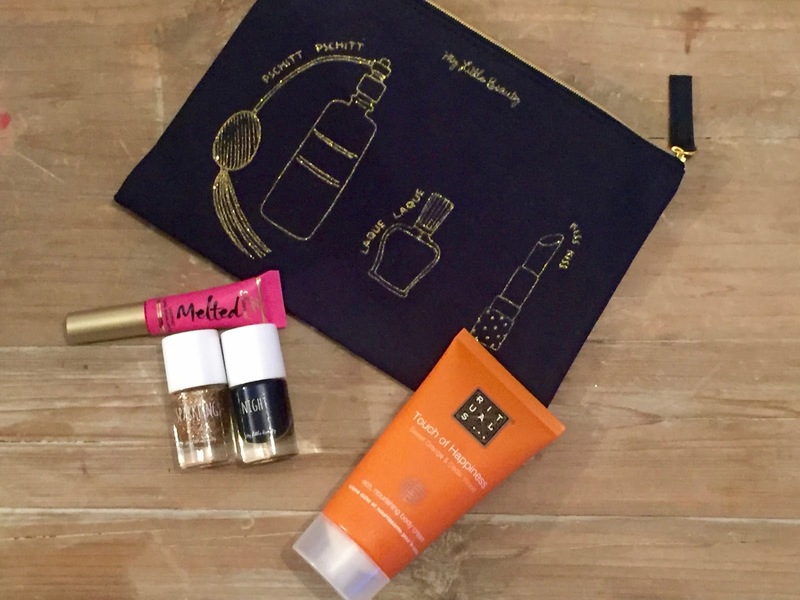 This month it all came in a lovely navy makeup bag with 5 Products in: a pair of gloves in a navy with gold flecks, a tin of loose tea which smells incredible, Too Face Melted Lipstick which I'm very intrigued to try, Rituals Touch of Happiness Body Cream and this months My Little Beauty product is two nail varnishes in Midnight and Sparkle. I've already tried out the nail varnishes so I now have a bit of Midnight Sparkles on my nails (see what I did there eh..), but they are truly lovely colours and perfect for the Party Season. I've already started using the makeup bag, it's such a nice material and I love the gold design on it. Well, I'm pretty sure I've said that I love everything in this box, which makes it even more difficult to decide whether to cancel my subscription. This box was always the deal breaker and now I love it all, I'm not sure I'm ready to cancel. What a mouthful that was. But seriously, It's Beginning To Look A Lot Like Christmasssss, Everywhere We Goooooo. YAY. 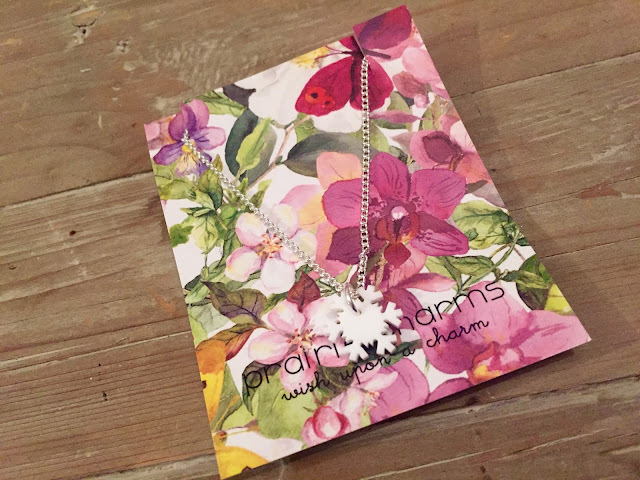 So, Prairie Charms have done it again! When they released their Christmas Mystery Bag, I literally jumped all over it! I knew I needed to have one and it arrived today, eeeeek. I opened the amazing silver parcel to find sparkly, christmassy greatness. Prairie Charms never ever fail to disappoint. This Snowflake necklace, ahhhhh. I love that it's actually quite long, I have issues with necklaces that are too short as I feel claustrophobic, which is really unlike me, but the Snowflake charm is so cute too, definitely going to be wearing this in the run up to Christmas! Lastly, I received 3 more hair pieces. 1 Small Gold Glitter Bow which I adore, I can't get enough of gold at the moment so I love this and cannot wait to wear it! Another bow, a bit larger this time and Red Glitter, this will go perfectly with my Christmas dress so I can't wait to wear them together. 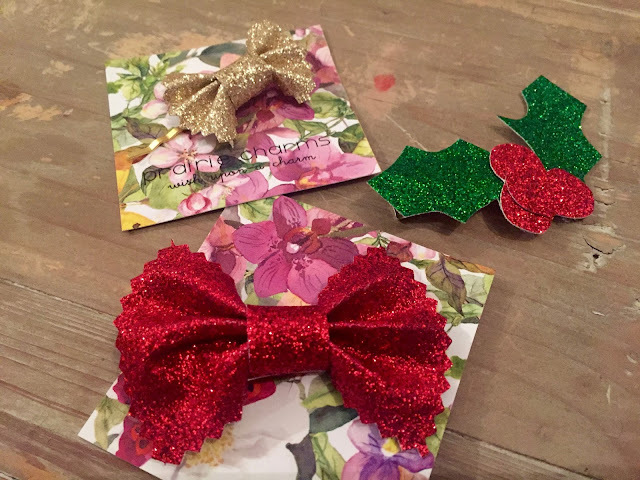 The last hair piece was a bit of glittery Holly! So cute, I don't have an occasion to wear it but I am completely in love with it. Prairie Charms have definitely brought some Festive Cheer into my day and I cannot wait to see what the New Year brings for them! I may have bought my wrapping paper back in the beginning of October (sorry, not sorry) as I got so excited about Christmas that I needed to start somewhere. So on a whim in Primark I grabbed 3 rolls of wrapping paper, all of which were £1 each. I bought 2 gold as I thought I could use these all year round if I didn’t use it all and 1 reindeer print. 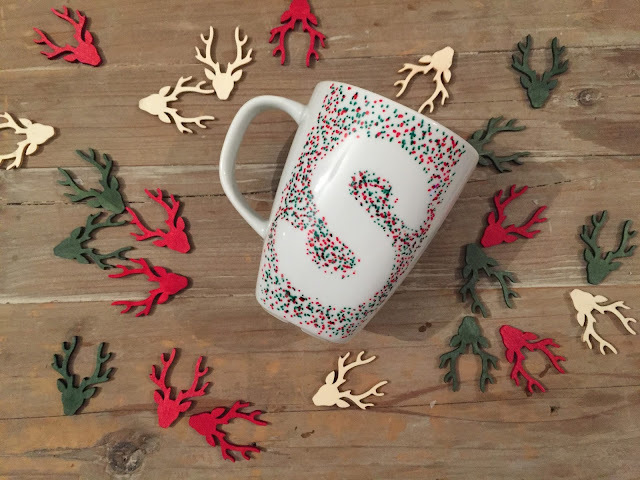 A deep red with reindeers printed all over in different patterns. 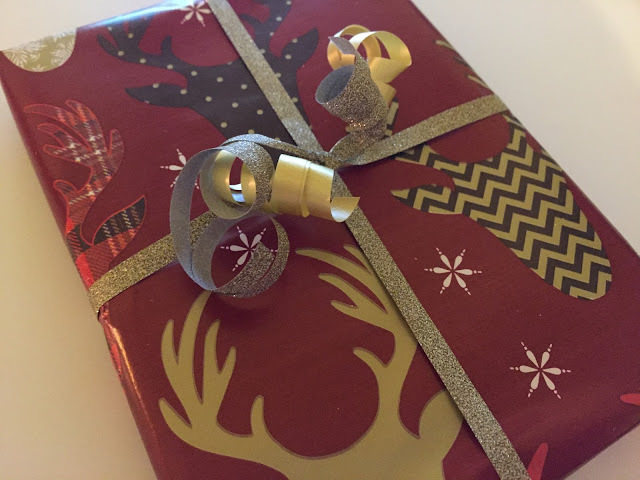 I then bought an “accessory” pack which had 3 ribbon rolls (1 super glittery so omg!) and 9 little bows. I mean how cute! 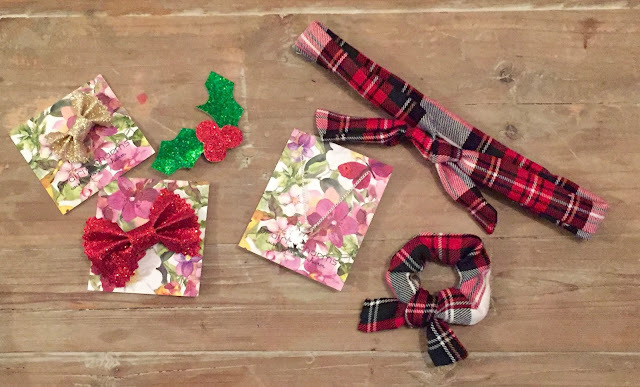 I also used some bells as decorations from my Hobbycraft haul plus these gift tags from my Paperchase haul. 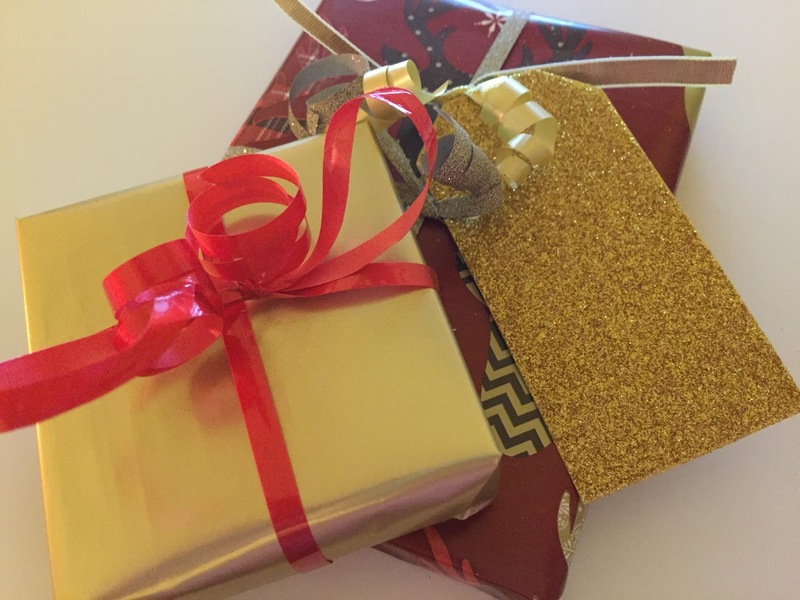 I like my wrapping to all match and have a general theme, because hello, photos! Paperchase is a must visit and if I could spend £50 on all my wrapping from there, I totally would! For anyone who knows me, really well that is, will know that everything in the above picture includes my favourite things! Tiger is one of my favourite shops, you can get so many great things from there on a good budget too! I cannot wait to dive in to the chocolate milk and rice cakes when I need a chocolate fix. I can also never have too much stationary (LIE: I have too much stationary but this pencil is TOO cute), so what's one more pencil to my collection?! Especially with a moustache topper, now I don't have one of those! Frozen Chocolate Coins, hello? Do I need to say more? I LOVE Frozen so it was just inevitable that there would be something of this theme in there! 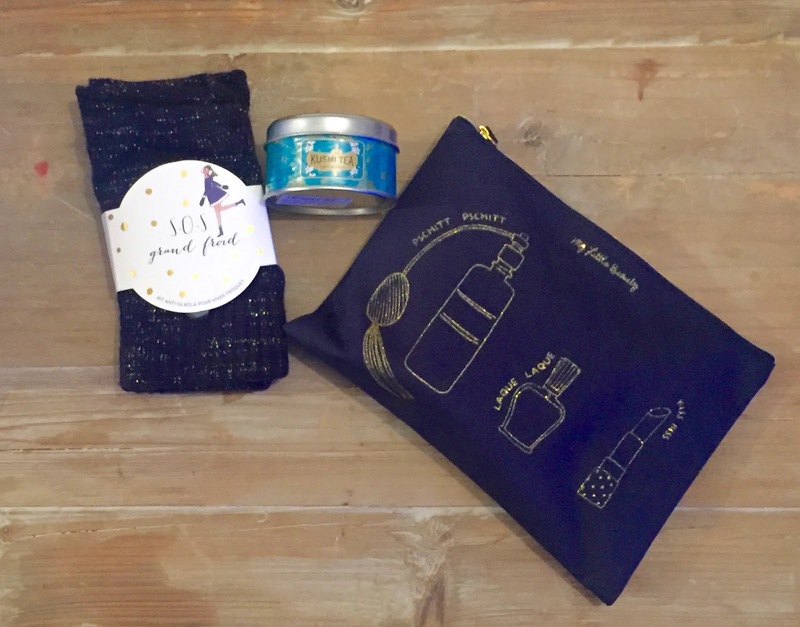 As well as the Frozen gift bag too. I've never tried Darkside Skittles before but I can't wait to try these. I'm going to be super nice and take them in to work with me tomorrow to share with everyone! Cosy Socks - YES. I've been meaning to get some more as I'm sure mine have all been eaten by the washing machine, yeah that old one. So I'm loving these, especially with the bear (? )/panda (? )/animal thing on them! 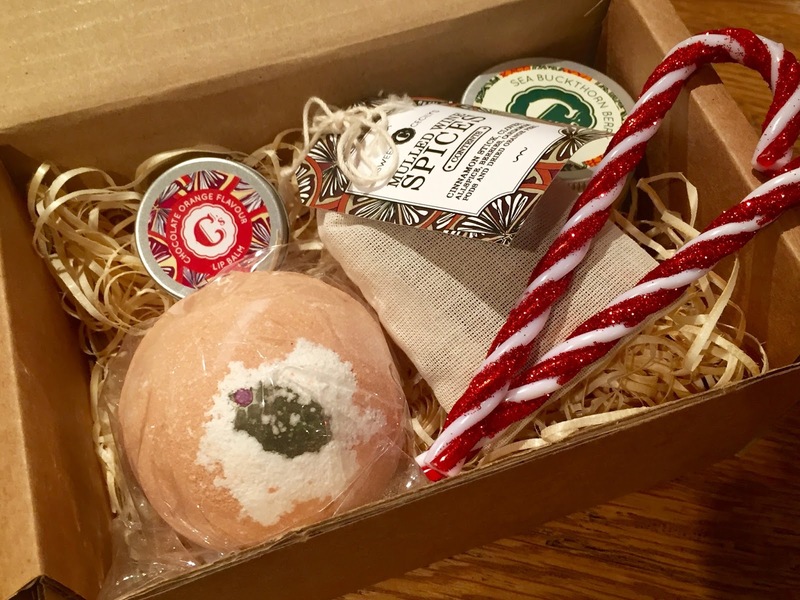 Lastly, two products from The Body Shop Christmas Range, an incredible smelling Glazed Apple soap and Frosted Cranberry hand cream, oh they are just too good! I've already used the soap as I couldn't wait! Michaella did good! What are your best Secret Santa presents? I absolutely love Christmas, have you guessed by now? I love giving presents to people and finding the absolute right thing for each person. However, I don't always like buying everything and I really like the idea of making presents. 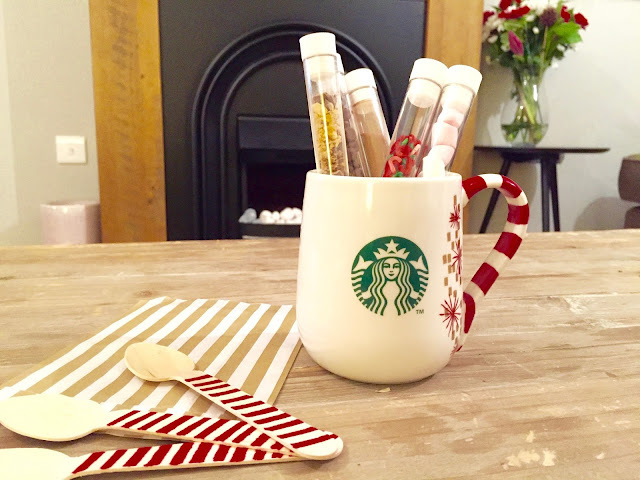 Last year I made Candy Cane Vodka for my sister, this year I have done DIY Sharpie Mugs & Hot Chocolate Kits. 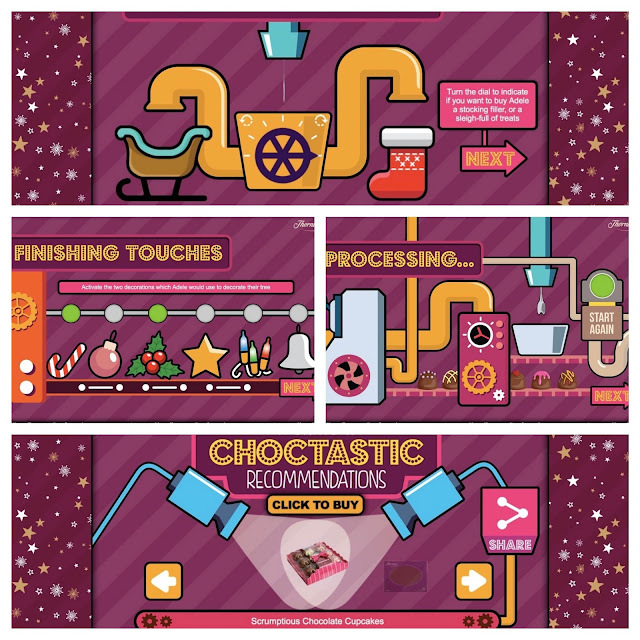 I filled each test tube with the ingredients. With the spoons I used a sharpie to draw stripes on the spoons to make them a bit more festive! You can, of course, use different toppings for the hot chocolate, however this is what I had in at the time. 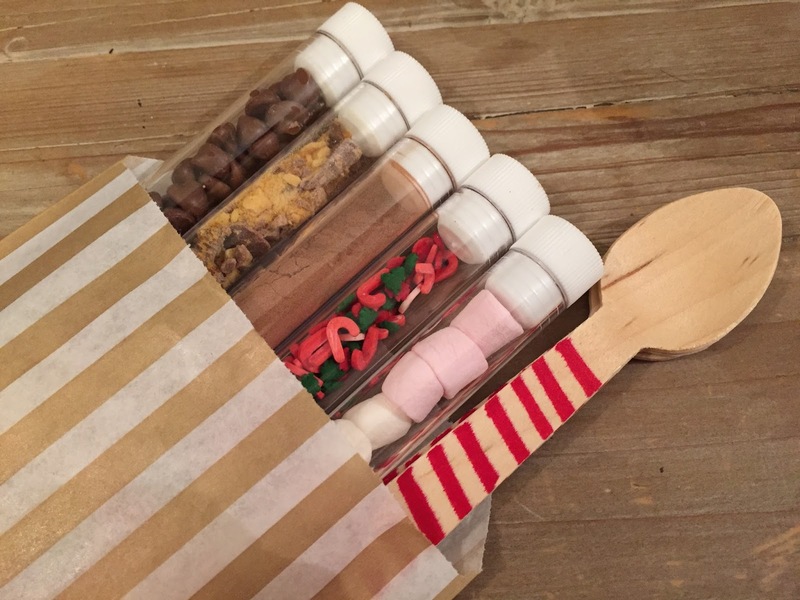 You could get different sprinkles, different chocolate chips or add anything the recipient may enjoy! These Sharpie Mugs are very simple to do, secure your stencil to the mug using tape, I used washi tape as it is much easier to get on and off. I went for a Christmas theme with this mug, using red and green Sharpies. Simply dot the Sharpie randomly around the stencil and fill out the area you would like to! I simply went for a small area around the stencil. I then put it in the oven for 35 minutes on about 160C. This sets the Sharpie and it darkens the colour a little. I would recommend hand washing this instead of putting it in the dishwasher so the sharpie does not come off straight away. 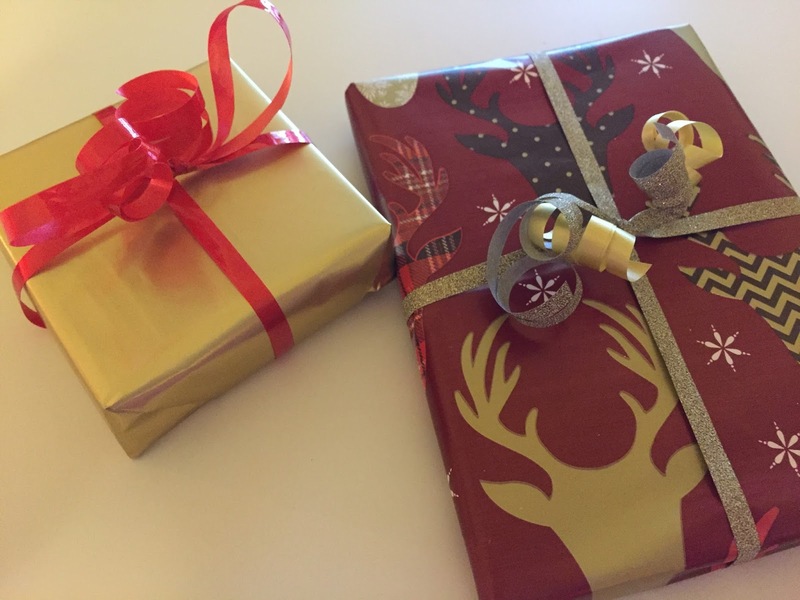 These are my DIY gifts this year. Degustabox* is, and probably will be, my favourite food subscription box! So the Christmas one has got to be my favourite box of the year! 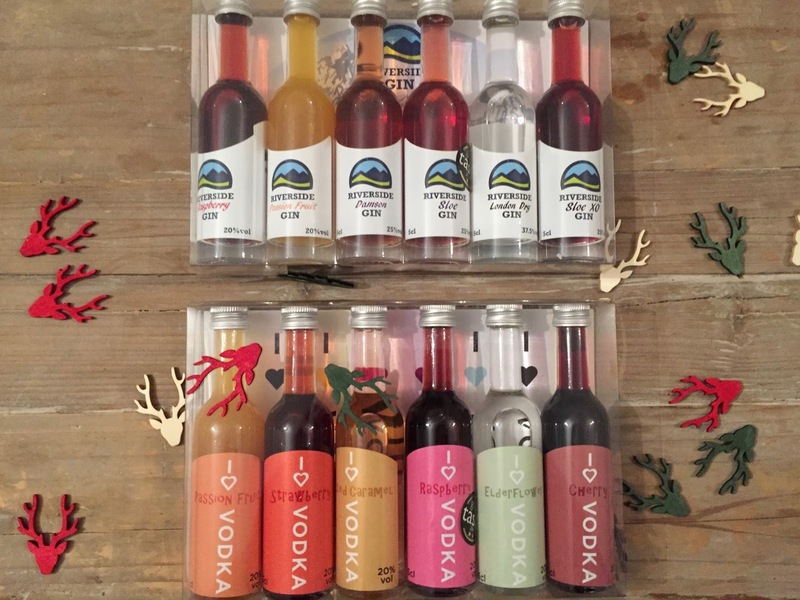 Full of festive food and exciting new ingredients to try out! So, I'll cut right to the chase. 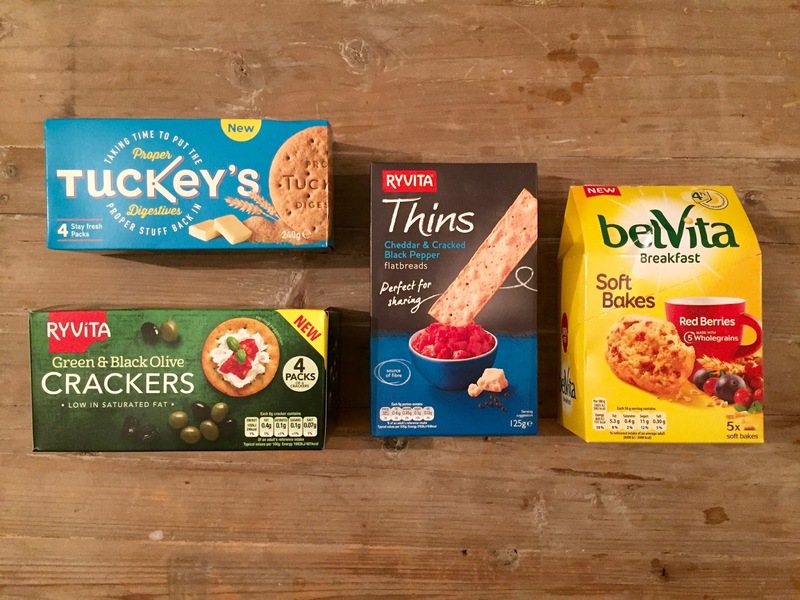 Ryvita Thins | £1.89 - These are the perfect snack to have on the Christmas table for parties, or on Boxing Day. They are absolutely perfect for dipping in salsa or anything else that takes your fancy. 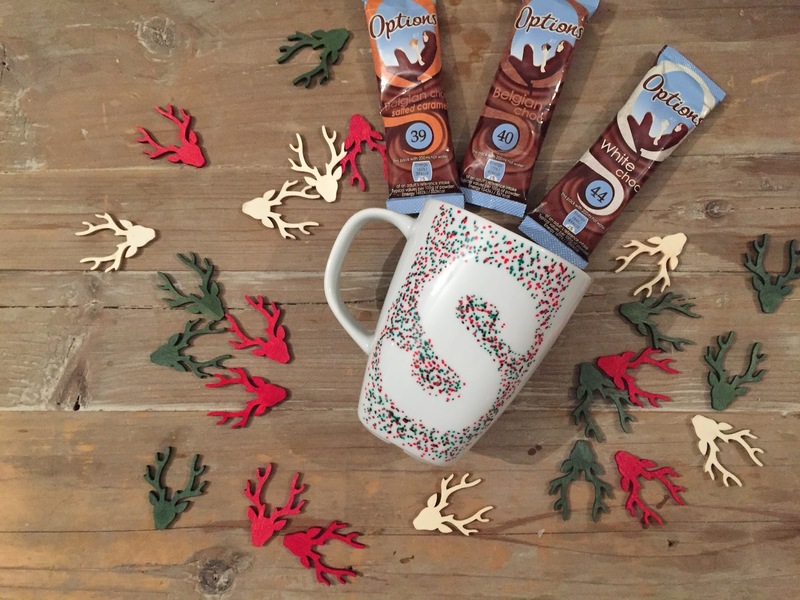 Share some with the family or friends! The mature cheddar and black pepper will be sure to be a new favourite with everyone. Ryvita Green & Black Olive Crackers | £1.29 - I desperately want to try these with feta cheese & sundried tomatoes, it's a winning combination for me! I love that these Ryvita Crackers come in individual packets of 6 and there are 4 in the box. It keeps them fresh and they are the perfect lunch time snack. 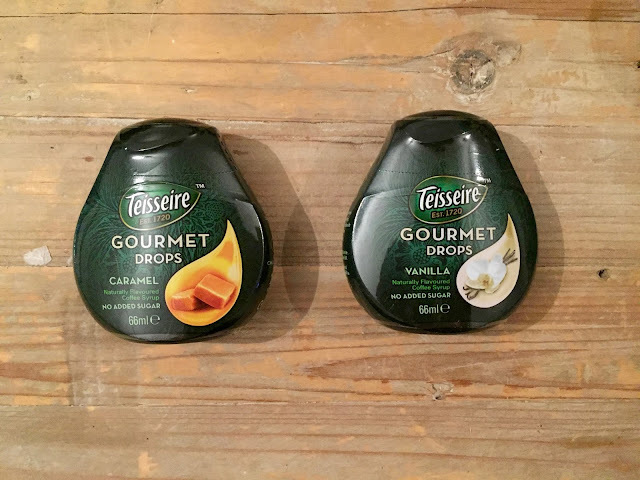 Teisseire | £2.79 each - Two Coffee Syrups in Caramel and Vanilla from Teisseire sound heavenly. They can be used in hot drinks, cold drinks and alcohol but I think I'll be sticking to using mine in coffee and perhaps a hot chocolate to add a new flavour to it! They come in super handy packs that you can easily carry around with you or take to work! belVita | £2.79 - I've never actually tried belVita before, but better late than never! Their new range is Soft Bakes and comes in 3 different flavours. They are made with five wholegrains and rich in cereals, and they are a great source of fibre and contains vitamins B6, magnesium and iron. Similarly packaged to the Ryvita Crackers in 5 individually packaged portions, I've been taking these to work and they are definitely a great breakfast. 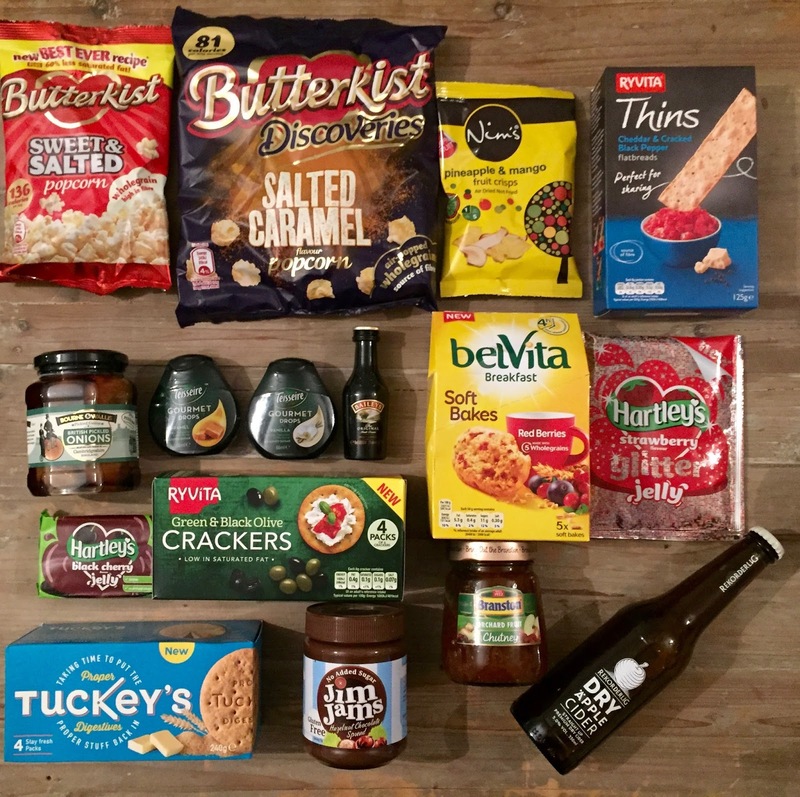 This month's Db's Discoveries comes from Tuckey's which are Proper Digestive Biscuits that are inspired by original recipes, with traditional ingredients and traditional methods! 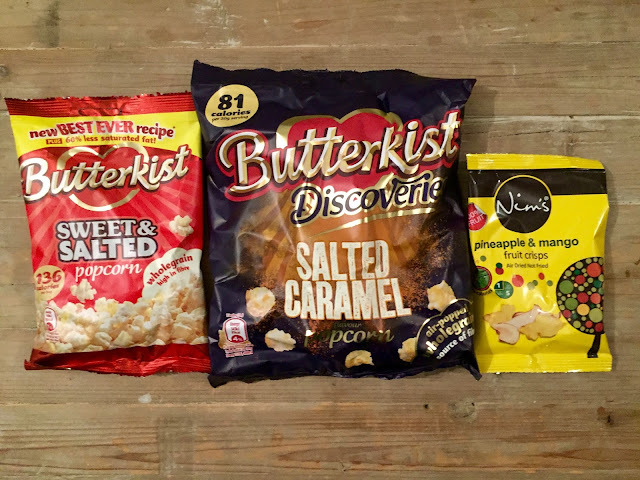 Butterkist | £2.04 - Everyone in my family is a huge fan of popcorn but we normally stick to Sweet & Salty. I'm a massive fan of Salted Caramel so I was definitely excited to be able to try Salted Caramel popcorn, and I just imagined it would be along the lines of Sweet & Salty. And of course, it was also a bonus to be able to have another bag of Sweet & Salty in the house! 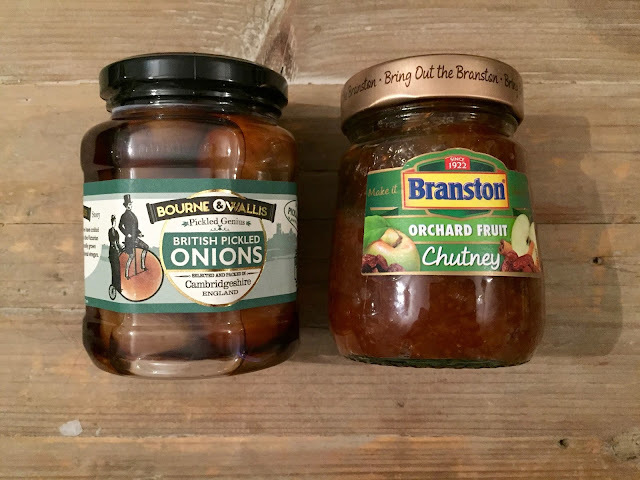 Branson | £1.49 - Branston Pickle is something we always have in the house, even more so around Christmas to go with left over Turkey and Ham! Now I have the Orchard Fruit Chutney, hopefully we can find the perfect addition for this! No doubt it will get used at some point! 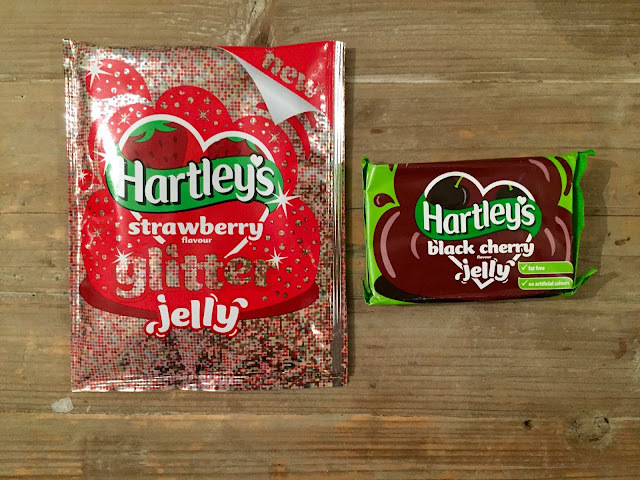 Hartley's | £1.29 - I was so happy to see these in the box! They are perfect for Christmas and just add a bit of fun. There's a recipe for Black Forest Trifle using the Black Cherry Jelly which I will definitely be trying out. The Glitter Jelly is just so much fun! I will definitely be finding a use for this one. 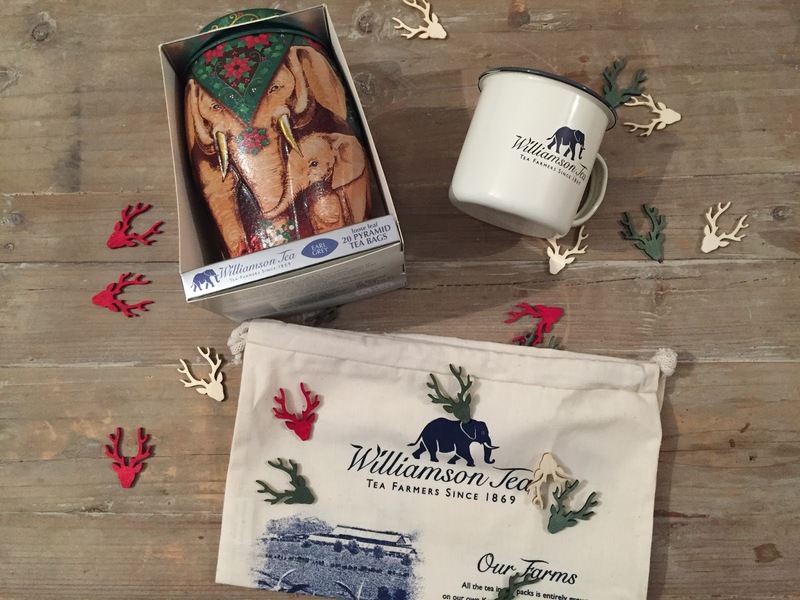 Bourne & Wallis | £1.40 - Another staple for the table at Christmas, and definitely on Boxing Day for my family! Pickled Onions are a crowd pleaser and go perfectly with ham and all of the left overs! Bourne & Wallis produce their pickles in Cambridgeshire, using vegetables that are sourced from the East Anglia region. 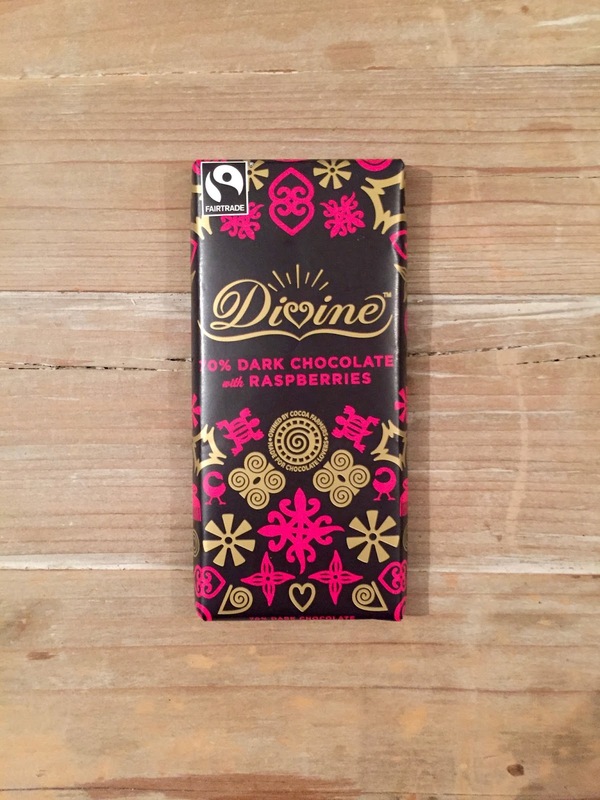 Divine | £1 - This looks delicious, a Dark Chocolate and Raspberries small chocolate bar, perfect for that indulgent moment! Rekordilig | £1.49 - I'm a huge fan of Rekordilig anyway, and this Dry Apple flavour is a classic flavour. 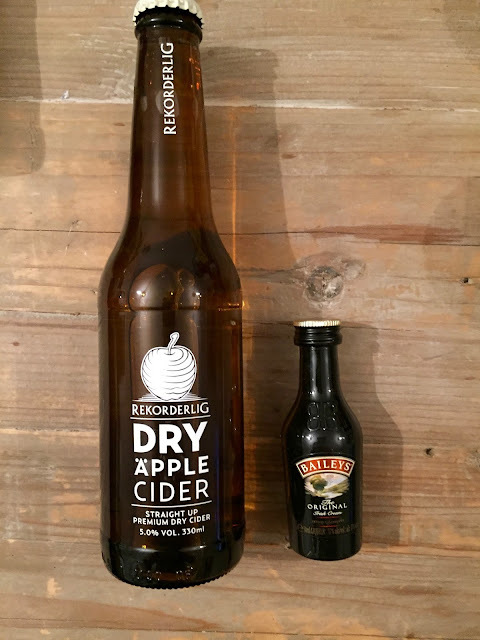 It's a crisp flavour with a dry, clean finish. Perfectly chilled, and you are on to a winner! Baileys - I can't say I'm a massive fan of Baileys, however I'm sure my parents will appreciate this one more than I would! 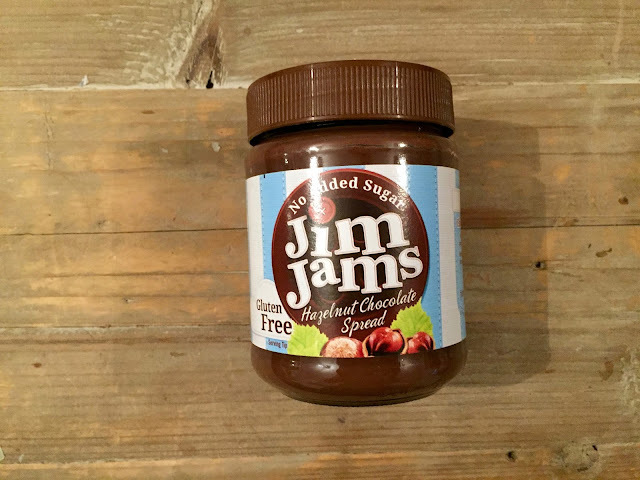 Jim Jams Chocolate Spread - This looks delicious, so good I could probably eat it out the jar with a spoon! I might do some baking with this, if my brother doesn't get to it first! 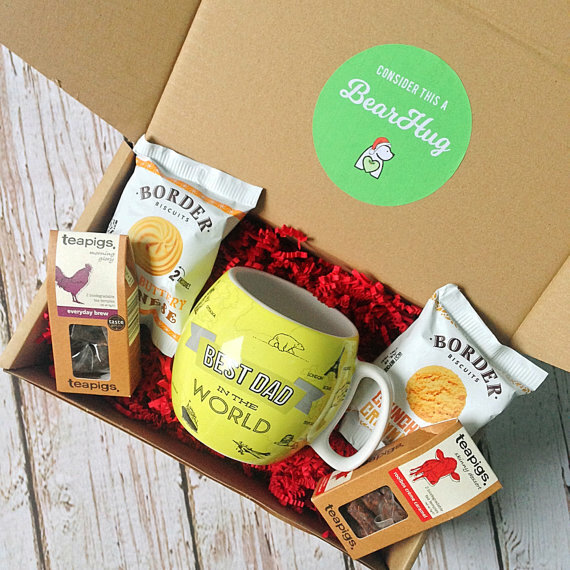 To get £6 off your first box, enter the code BLDEG15! 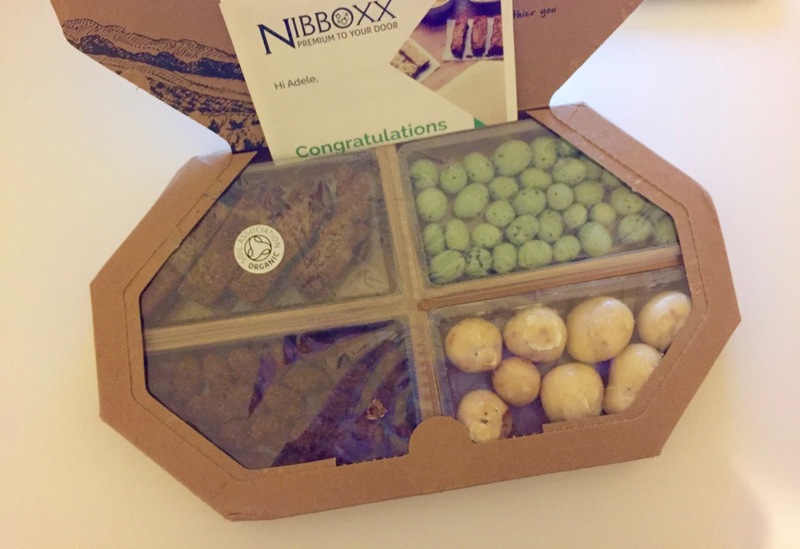 *This box was kindly sent to me for the purpose of a review. I have previously written Gift Guides for Bloggers, ASOS Stocking Fillers and most recently a Gift Guide for many different scenarios. Today I want to share one for Tea Lovers, because Tea Gift Sets are perfect for presents, especially when you can keep the tin afterwards. That's a massive bonus. And that's where Ahmad Tea* comes into this post. They offer a wide range of teas for affordable prices! 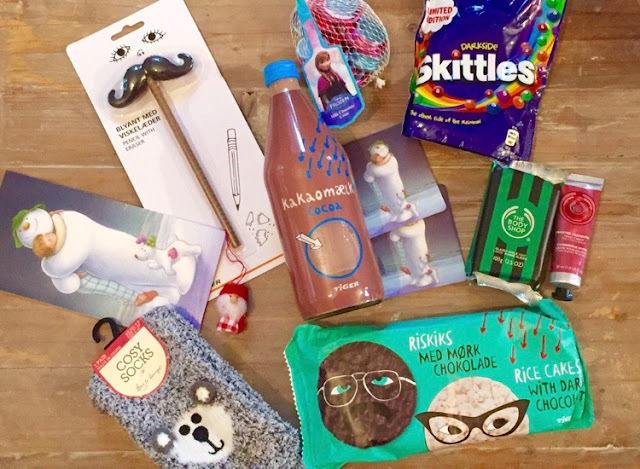 I was so happy to have this parcel arrive on my door step and I literally could not wait to be able to share all of these wonderful gifts! 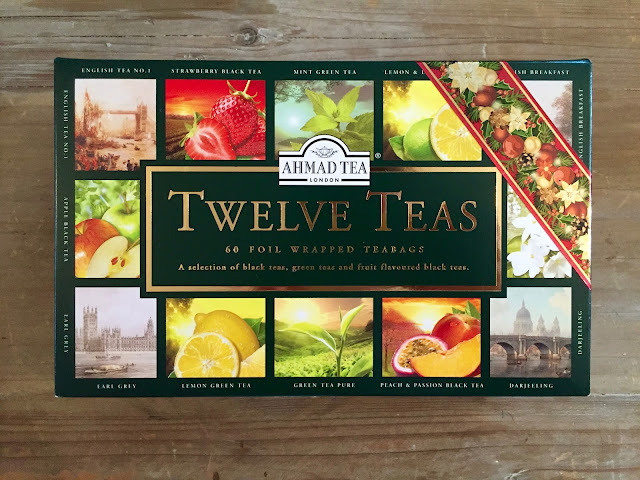 It contains four different types of teas: English Breakfast, Darjeeling, Earl Grey and English Tea No.1. 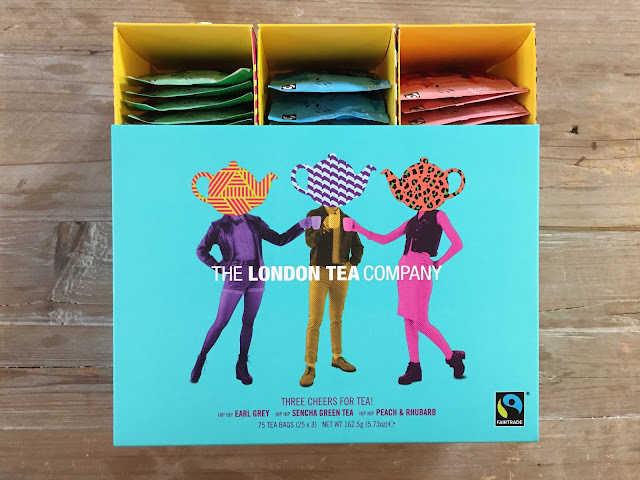 There are 4 individually wrapped tea bags of each of these teas and they come packaged really nicely in a gold tin which can be used again. This is a completely affordable gift and would be perfect for someone who loves your typical breakfast tea! 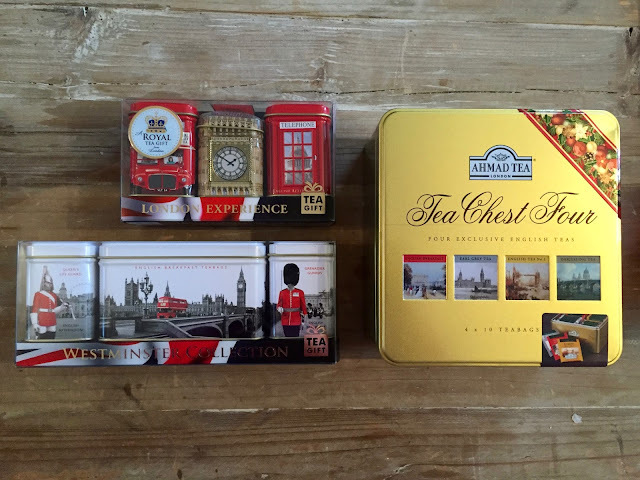 Two stunning tins both containing 20 Foil Wrapped Breakfast Tea tea bags and they are too good to open! The London Twilight tin has got to be my favourite and I've already been thinking of things I can store in it. The tea tastes incredible too! 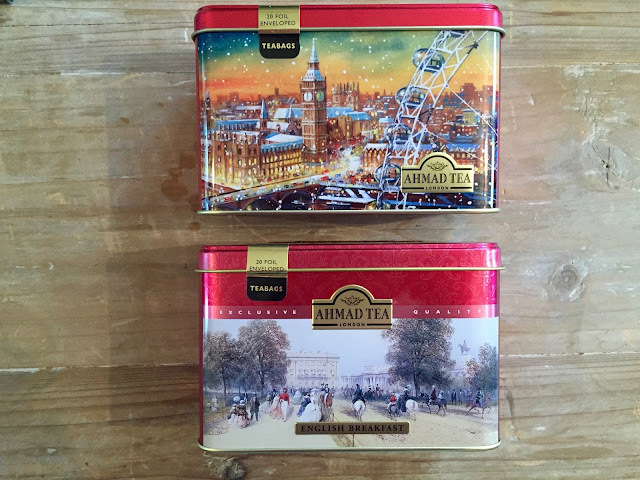 Plus these tins are both £5 each, so if you are looking for something small to give to someone, this would be perfect! 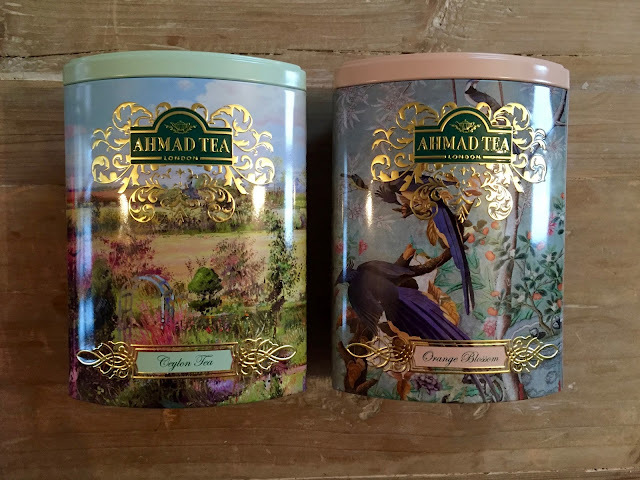 With stunning tins, these both contain Breakfast Tea again in both a loose and tea bag form. Loose tea definitely has a different and stronger flavour to that in tea bags, so for someone who loves Breakfast Tea, this would definitely mix it all up for them! 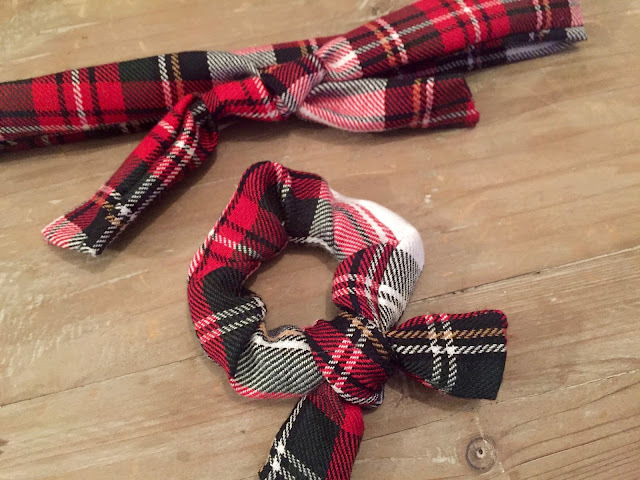 Plus if they love London, these are great! 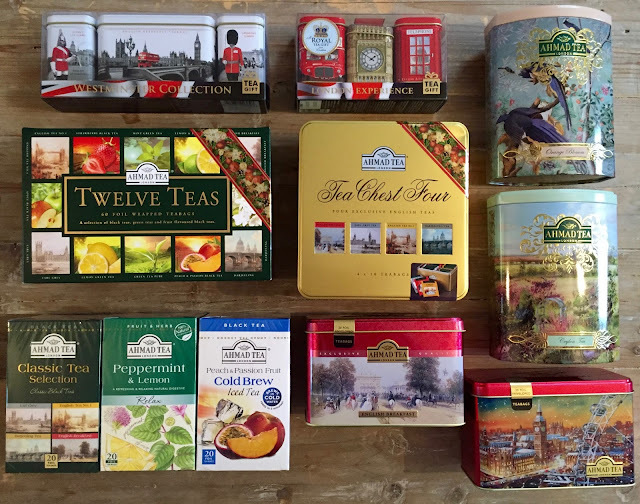 I absolutely love the selection of teas in this tin. 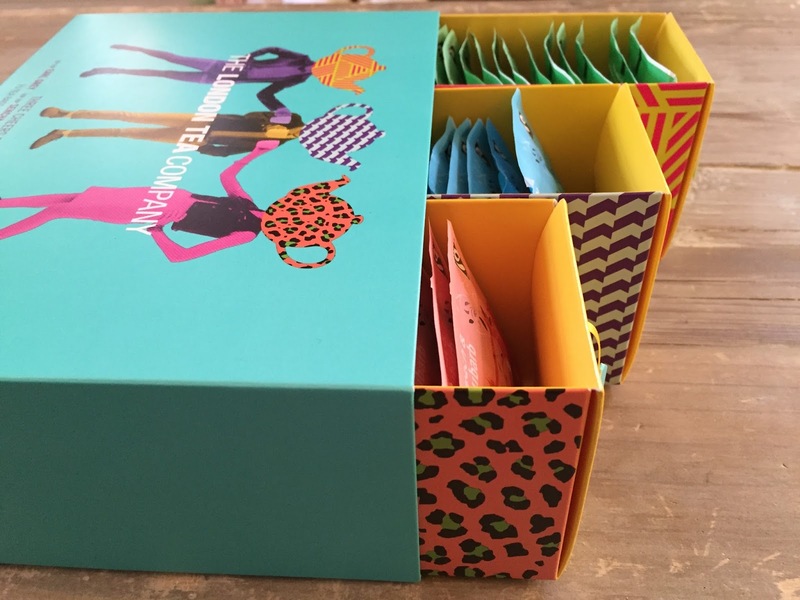 It would make the perfect gift for someone who likes to try different teas! I also think it is so perfect to have tea bags individually wrapped, it gives it such a premium feel and it just makes it all so much better having to unwrap the tea bag! I have a few people I know this would be perfect for! 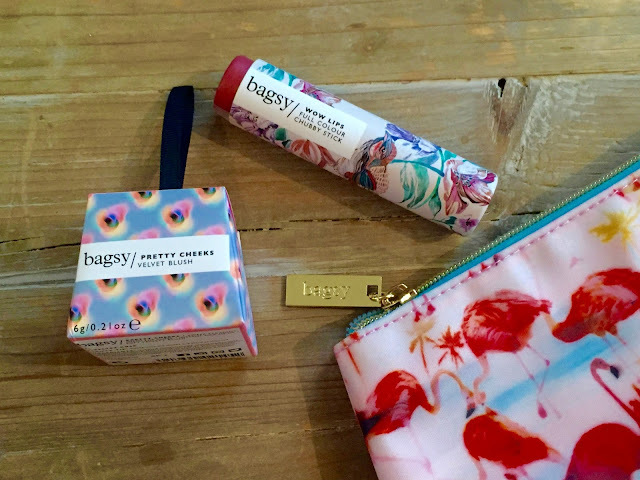 Aren't these the most gorgeous tins like ever? I can just imagine these sitting on the kitchen counter! They both contain loose leaf teas but you get so much out of one tin. I've found a new favourite in the Orange Blossom tea! 3 completely different products, all with foil wrapped tea bags. 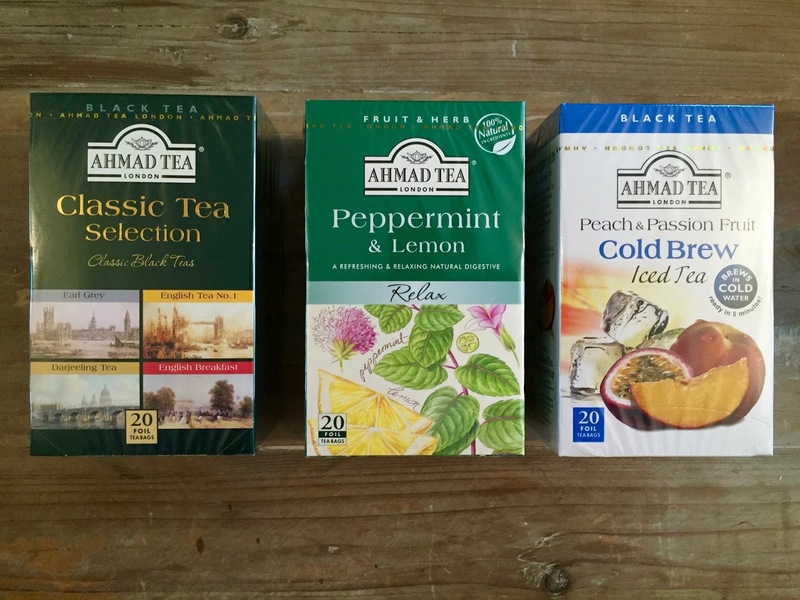 I've already tried the Peppermint & Lemon and it tastes delicious! It has the perfect balance of peppermint and lemon and it's now my go to choice of tea. 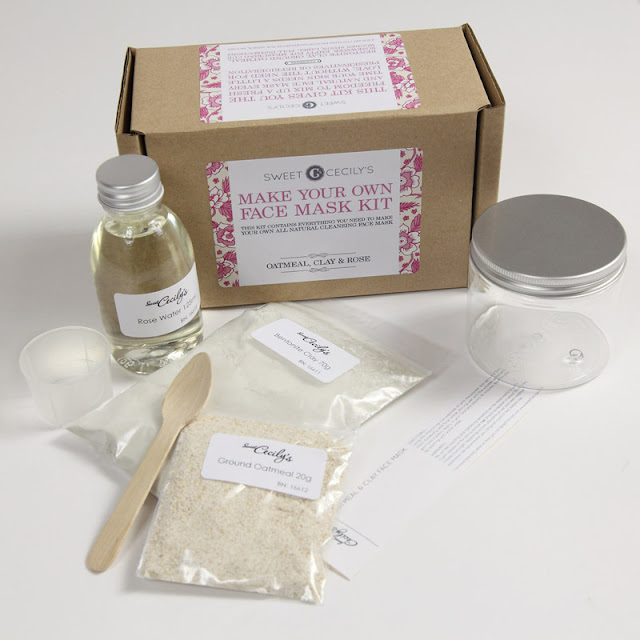 I would put a pack such as these with a mug and other tea accessories to put together a little set for the recipient. Of course, dependent on what kind of tea they enjoy! Do you think these teas will make great gifts? What would you get for a tea lover? 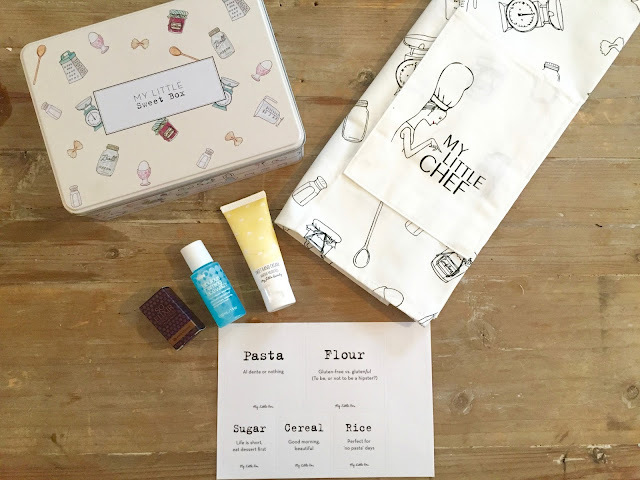 I signed up to My Little Box last month and received their Creative Box, in collaboration with Pinterest, it was alright but I can't say I was completely over the moon with it. When I saw the teaser for this months box, I was really excited. A tin box? Yes please! Well worth the money for the subscription! 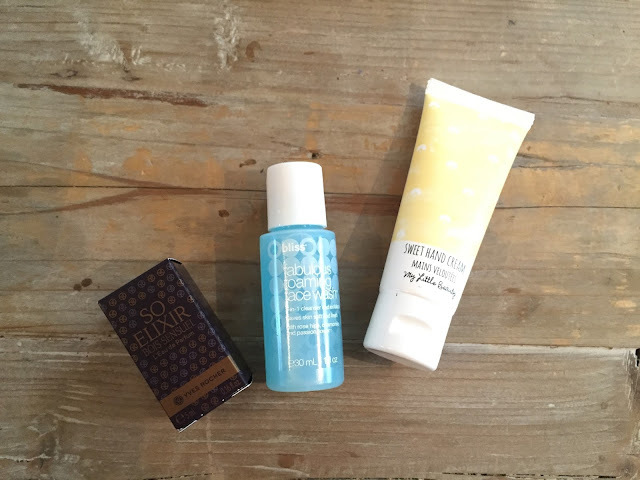 So here is a list of my thoughts on this months box. The tin is great, it can be reused and is so adorable. 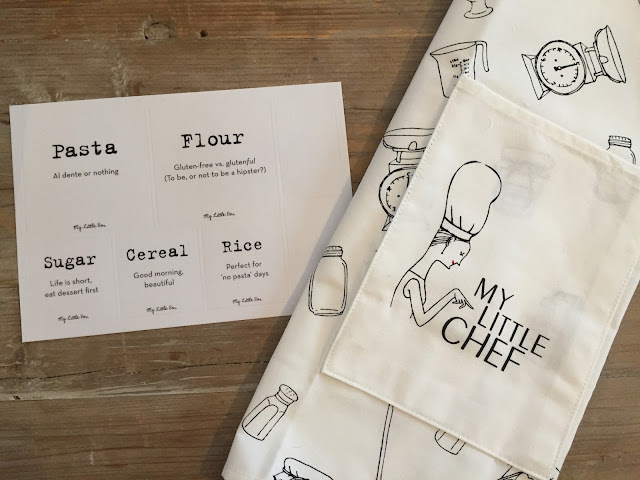 The apron is really cute. I love that it's a half apron as I normally get ingredients down my legs instead of on my top. Is that a thing? The labels for jars are amazing! It took me a while to realise there was an envelope but it's a good excuse to have lots of cute jars in the kitchen. Being My Little Sweet Box you would expect some kind of sweets or baking or a bunch of recipes. The beauty products were smaller this month, maybe the tin compromised this. My tin was slightly damaged when it arrived, boo. I signed up last month and said if I didn't like it then I would cancel after the December box (because I obviously want all the Christmas stuff!). It's getting very likely that I won't continue the subscription. It's not worth the money nor am I ridiculously excited about all the products. I tried and that's enough for me!